In November of 2013, I joined a media tour group to explore the Louisiana Holiday Trail of Lights. From Shreveport-Bossier City, then east on IH-20 to Minden, Monroe-West Monroe and south on IH-49 to Alexandria-Pineville and Natchitoches, each town and each day brought new adventures, sights, tastes and scenery. Thinking back, I remember visiting each town as if it were yesterday. I found it most impressive that Natchitoches is celebrating it’s tri-centennial! This town with brick-paved streets overlooking the Cane River was one location I decided to return to with my husband. 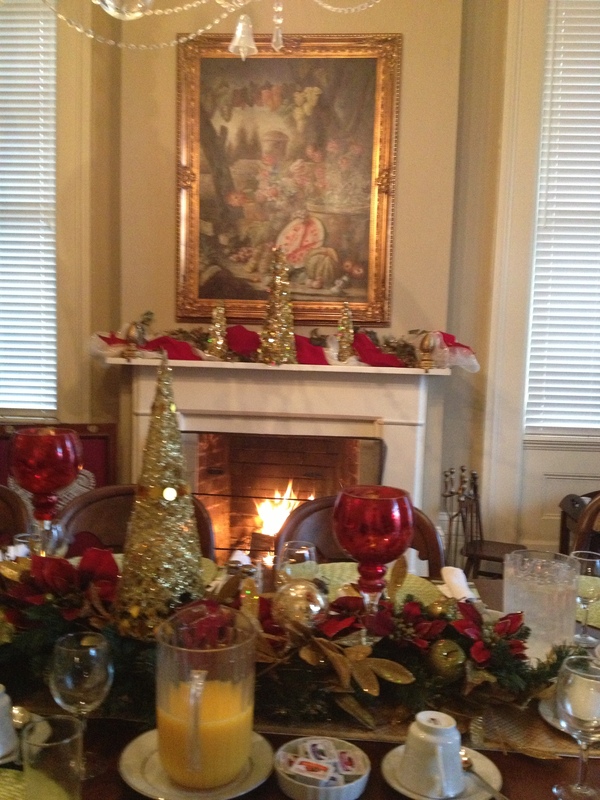 Other very exciting events were The Tree Lighting on the Louisiana Boardwalk, and staying overnight at Loyd Hall Plantation Bed and Breakfast, which is rumored to be haunted! 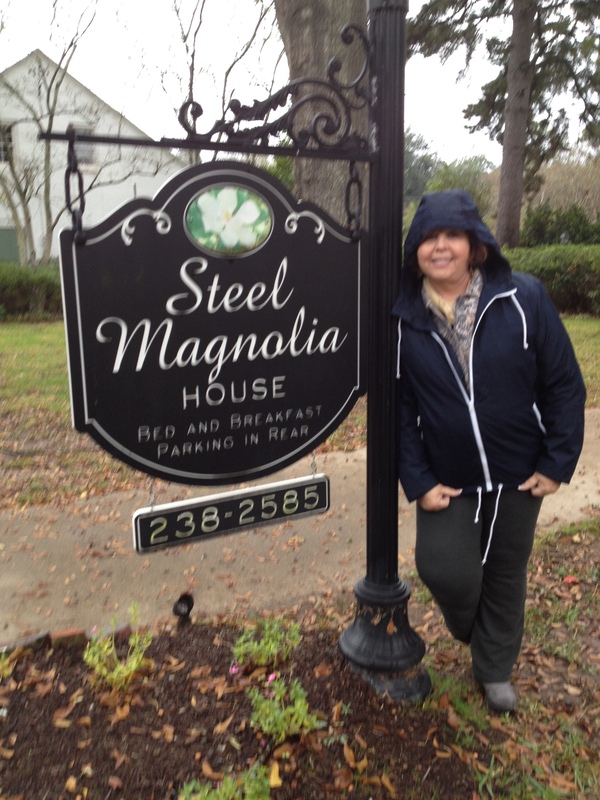 Oh, and I was thrilled to get to see The Steel Magnolia House, which is now a bed and breakfast, also. This week I hope you’ll read my story about the Louisiana Trail of Lights, which appears in The Tribune at http://www.ourtribune.com/article.php?id=17583. Here is a link to the pdf file of the newspaper. Scroll down to page 6C to view my article as it’s seen in the actual newspaper: http://ourtribune.com/apdf/tn.pdf. 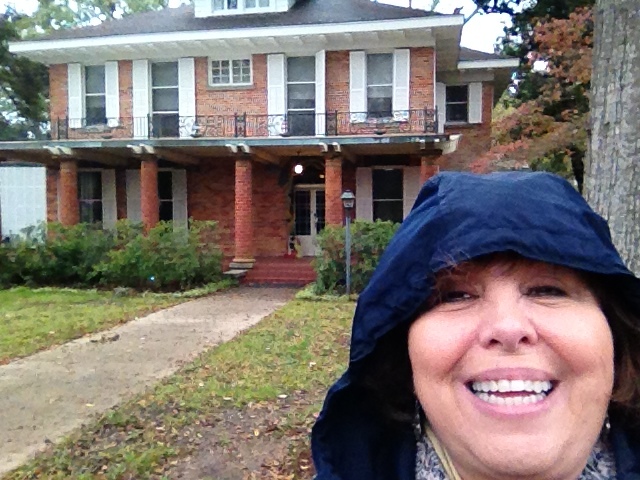 Thrilled to see the “Steel Magnolias” house! Next month, another version of my story on the Louisiana Holiday Trail of Lights is scheduled to appear in TravelWorld International Magazine with “Holidays” as the theme for the November issue. When the magazine’s November issue is published, I’ll post a link here. Thanks for visiting my blog, and remember, I appreciate your feedback! ← You’re in Almost Heaven!